Within the now large number of Italian exhibitors, the Cesati Gallery had great success with the elegant installation totally renovated in colour and lay-out, displaying as always an interesting combination of materials, ranging from the favorite ironworks to the sculptures in stone, wood and bronze. 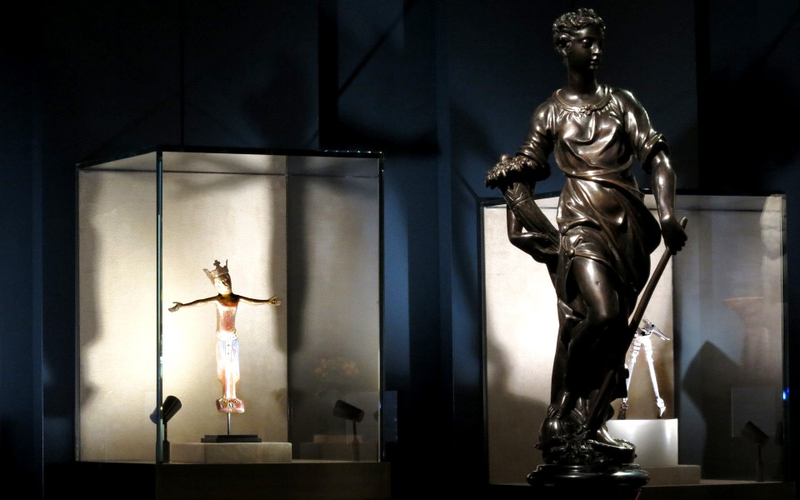 Among the works on display, a special attention went to a tiny polychromed wood sculpture of a King Balthazar, from a rare workshop active in Cologne in the early 16th century, placed near a mid 13th century gilded and enamelled Corpus Christi from Limoges, rare for size and state of preservation. 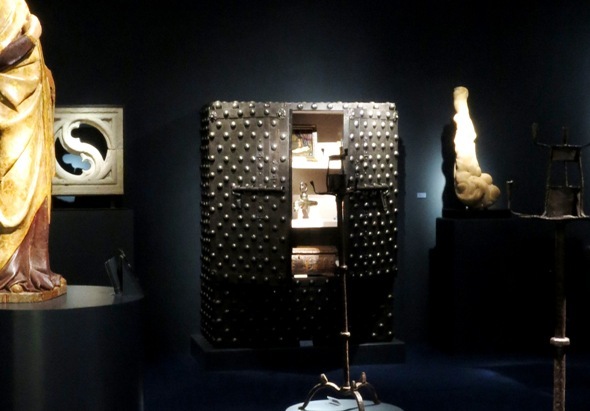 Great appreciation also for the powerful wrought iron Safe from the late XVII century, attracting the attention of the visitors, not only for its sophisticated and ‘contemporary’ beauty, but also thanks to its strategic position through which it was immediately visible from the main entrance of the fair.